Owen and I took a bale to the cattle on the west side of the creek. As we came up the hill we saw a bald eagle swoop down out of sight. We crested the hill and were given a beautiful view of its white head and black plumage. 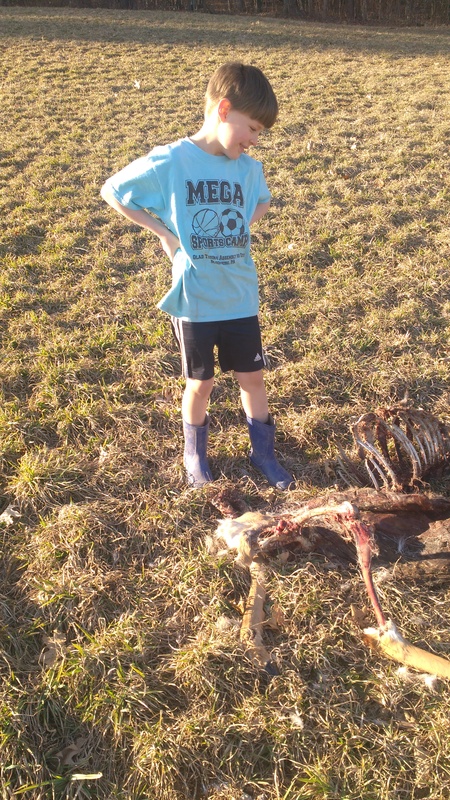 Exploring further, we found that it had been scavenging on a deer carcass which Owen really enjoyed seeing.